Be the first to hear about their new releases and deals. 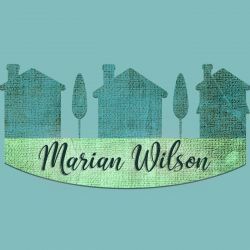 Download the Booksprout app and search for Marian Wilson today! Marian Wilson has been writing stories for as long as she can remember, but it is only recently that she began publishing her books. She is proud mother of wild, crazy, and wonderfully kind little boy. In between homeschooling and her affinity for practicing yoga, she loves writing heartwarming romances. To learn more about Marian Wilson, visit lovelightfaith.com.